When you need a 24 hour plumber for your plumbing emergency, Xceptional Plumbing will be there. We can also help with blocked sewers, gas leaks, broken toilets and taps and heating repairs. No matter what time of day, you can call our qualified and licenced plumbers for fast and efficient plumbing repairs. Offering same day service, our team of experienced plumbers can be at your home or business quickly to fix your plumbing emergency, whether it’s a blocked drain, burst pipe or no hot water. With fully-stocked vans, our expert plumbers will arrive with all the right equipment and parts on-hand to deal with any emergency plumbing problem. We know how disruptive a plumbing emergency can be on your family, staff or customers so we aim to repair the problem as quickly as possible so you can get on with your day. 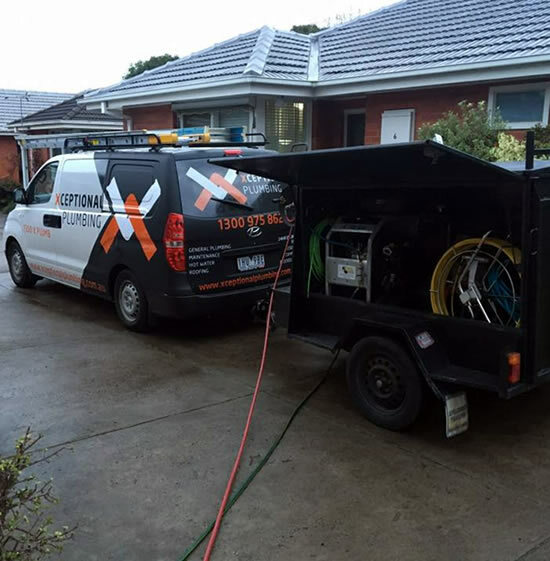 Based in Moorabbin, our team service all Melbourne’s south eastern suburbs including Mordialloc, Bentleigh, Cheltenham, Highett, Ormond, Mentone, Black Rock, Sandringham, Parkdale and Brighton.